Donald L George passed away on December 5, 2018 at the age of 80. Born September 20, 1938 in Pennsylvania. Preceded in death by parents - Mildred Virginia Knappenberger and Leroy U. George; first wife Mary “Jane” Evans George; and half-brother Phil A. George. He is survived by his wife Carolyn “Sue” Manning George; siblings Ruth Smith, Karen Smith (Eddie), and Terry Youse (Cheryl), all of PA; children Russell A. George (Lisa), Donna J. George (Gina Hancock), and Patrick L. George (Kristy); grandchildren Rebecca GEORGE Tomlinson (John), Kyle George, Megan George, Stella George; great grandchildren Aubrey Moon and Jacob Redmon; five step-children and their families. Don and Jane married in 1959 after meeting in San Antonio, Texas while serving in the United States Air Force. Shortly after their marriage in Birmingham, Alabama, they settled in Goodlettsville, TN where they lived together with their family until Jane’s death in 2005. 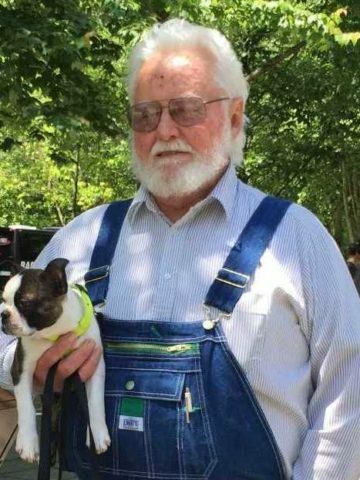 Don worked for the City of Goodlettsville for many years, working at both Moss Wright Park and the Goodlettsville Community Center. They were faithful members of Connell Memorial United Methodist Church, where Don sang in the choir. Although a big guy, he sang tenor! Don remarried Carolyn Sue Manning and they moved to Cave City, Kentucky. Sue spoiled him like Jane never did. In his later years, his Faith deepened through his involvement at Echo Mission Church. He was ready and eager for his final journey. Visitation will be held Sunday, December9, 2018 from 1 – 5 pm at Cole & Garrett Funeral Home, Goodlettsville. A Celebration of Life Service will be held at the funeral home on Monday, December 10, 2018 at 10 am with an hour of visitation beginning at 9 am and followed by interment at Spring Hill Cemetery. So sorry for your loss. May God’s comfort sustain you in this difficult time.